A striking & user-friendly temperature converter! Quickly convert temperatures between Celsius, Fahrenheit & Kelvin. Ad Supported. Ads can be removed with a one-time in-app purchase. For what it does it’s perfect. 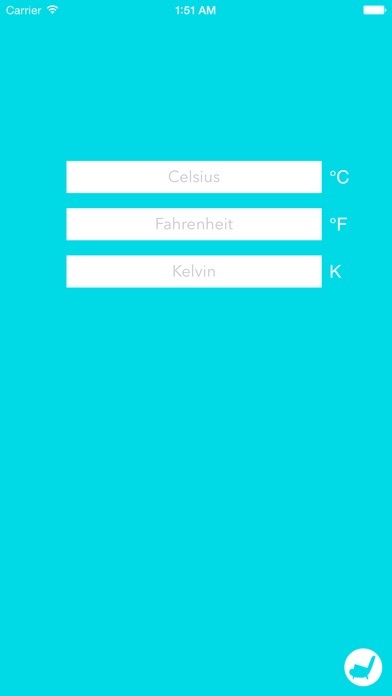 I use this whenever I need to understand Fahrenheit. Easy to use and accurate. Great for traveling overseas where temps are always reflected in Celsius. Worth having. I like the app. I checked various readings with actual conversions and they are accurate. Easy to use. Great for travel. Thank you for this tool. Measures the temperature inaccurately. So, there's no point in downloading it if the main cause isn't done. I really like how the background changes colors depending on the temperature you're trying to convert. I like this!.-When I was useing this everyday I did see outside and it bin 99*! I put 99*. I like this!!!! 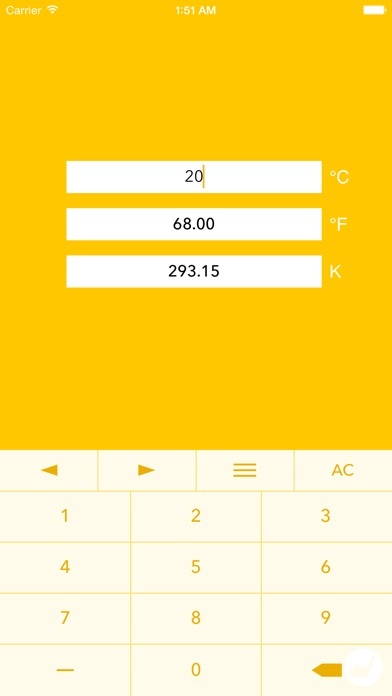 I love how this app converts the temperature numbers instantly, without having to "submit" or calculate separately. Putting Kelvin temperatures seems more for academic purposes, but I would have used large fonts for F and C and call it a day. Excellent app, though!